So you’ve decided to earn your graduate degree abroad. Whether you’re still deciding on a program or you’ve already been accepted - congrats! - it’s imperative that you prepare for this journey well in advance. Not only will the extra time and prep work make the transition to your host country that much smoother, but it’ll result in an easier adjustment period when you return home. So check out the following considerations and tips- and enjoy your study abroad experience! Studying abroad requires a lot of hard work, which tends to start even before you’ve left home. You’ll need to figure out where you’re going to live, how you’re going to pay your bills, and what insurance you’ll need should you have an accident or acquire an illness while abroad. To help alleviate the stress of planning, we’ve outlined the most important preparation considerations. Not only will you need money for travel expenses (both to and from your host country), school expenses (books, supplies, clubs, etc.) and tuition, but you will probably have bills to pay, as well. If you’re going to be staying in a house or apartment, you’ll need money for rent, utilities (water, heating and air conditioning, internet, cable, etc. ), and food. You’ll most likely be going out and exploring your new home in addition to studying, so be sure to set aside plenty of cash for tourism, transportation, and entertainment, as well as for emergencies. If you’re interested in securing a scholarship, start planning as soon as possible, as many private scholarships have early application deadlines. Studyabroadfunding.org can aid you in searching hundreds of study abroad scholarships, fellowships, grants, and paid internships. Many study abroad program providers give out financial aid and scholarships, so be sure to check with your program to see if applications are available. If you have an existing financial aid package, check with your school to see if it can be transferred to a pre-approved study abroad program. If you’re interested in working in addition to attending school, look into teaching assistantships and other work-study programs that will allow you to earn money while you study. Sites like jobs.goabroad.com can help you find updated job postings in your host city. For tips and ideas for earning money as an international student, check out this article from HotCoursesAbroad.com! 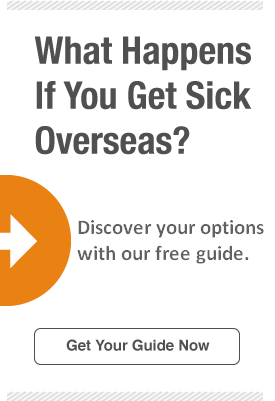 Since you’re traveling internationally, your domestic health and medical insurance will likely no longer cover you once you leave your home country. Should an unexpected illness or injury occur during the course of your program, an international student health insurance plan can significantly reduce your personal expenses. HCCMIS offers StudentSecure®, a student health insurance plan which provides comprehensive medical coverage for full-time students or full-time scholars studying outside of their home countries. With geographic coverage and four levels of coverage to choose from, you can easily find what you need at a price you can afford. If you’re attending international graduate school through a sister school of your undergraduate university, then there’s probably plenty of information available to you regarding housing options. Whether or not you’re interested in staying in a dorm, we recommend first reaching out to your new institution; they probably have numerous housing resources available to you. Do a Google search for local houses and apartments up for rent and spend some time reading reviews and comparing prices; consider finding a forum to communicate with other study abroad students looking for roommates in the same area. Sites like Student Mundial allow you to search for student accommodation all over the world, and you can filter your search by semester or year, as well as by entering custom dates. Study Abroad Apartments is a great apartment finder which filters results according to location and number of adults looking to room together. If you’re attending graduate school in Europe, check out Erasmate, a housing platform for short-term visitors to Europe. Limit your search by entering your city, the dates of your stay, the maximum distance you’re willing to travel to school, and/or the maximum price you’re willing to pay for rent per month. You can even select a “price includes utilities” option! Another possibility is to find a family interested in hosting you throughout your stay. Homestay allows you to search by destination, dates, and number of students interested in staying together with a family. When you arrive at your abroad destination, you may find that your favorite comfort foods, sources of entertainment, and the basic toiletries you’ve grown accustomed to are not readily available for purchase. Be sure to research the availability of any product you can’t go without and bring any favorites that aren’t sold abroad. You can also ask your friends and family to send care packages! Check out this "Timeline for Study Abroad Planning" infographic! Returning home from abroad can result in a tough transition period- after all, you may be thrown into your old activities while simultaneously starting the job search and struggling to get your sleep schedule back on track. By knowing what to expect when you return home, and having a strategy for dealing with potential roadblocks, you can easily limit your post-study-abroad stress. Some students return home from abroad and find that the adjustment period is seamless and swift, almost as if they’d never left. Other students return to their home countries to find themselves overwhelmed by symptoms of “reverse culture shock”— feelings of intense irritability, disorientation, and even hostility. You may find yourself being overly critical of your home country and its people and customs or find that you’re upset by how much has changed in the time you’ve been gone. Rest assured that these feelings are usually temporary- and completely normal. Accept the fact that you’ve changed. You’ve experienced so much in a short period of time and you’ve probably gained a new outlook on the world, its people, and your own future. Not everyone is going to understand your new perspective- and that’s okay. Get your sleep schedule back on track. The day you arrive home, try to stay up as late as possible and go to sleep at a normal time. Though you may be jet lagged for a while, getting back on a regular sleep schedule is vital to your well-being. Apps like Viber and Skype can help you stay in contact with the friends you’ve made while studying abroad, but put effort into strengthening your old relationships, too. Share the music you’ve enjoyed listening to and the shows you’ve enjoyed watching abroad with your friends and family back home. Have a dinner party for your friends and family and prepare your favorite dish from your host culture so that they can experience it, too. Integrate any favorable habits you learned abroad into your daily routine back home. Consider becoming a mentor for students preparing to study abroad or for students re-adjusting to life back in your home country. Today’s employers are actively seeking employees with global experience who have the ability to adapt to rapidly changing settings and conditions, and who are capable of understanding cultural differences in the workplace. Your resume is the perfect place to highlight your experiences and accomplishments from abroad, but remember that your study abroad experience means nothing to employers unless you’re able to convey both how the experience enhanced you as a person and professional and how the education, skills, and experience you gained abroad coincide with the company’s needs. List relevant cultural skills and experiences in your “Education” or “Experience” sections. You may also choose to add an “International Travel Experience” section, but do so with hesitation. Only include a section emphasizing your international travel experience if you are applying to a job directly related to the travel industry (i.e. travel agent), as you want to come off as qualified- not as bragging. Use strong action verbs and specific examples to showcase your abilities and accomplishments. This article from Muse can help you get started. Remember to tailor your study abroad experience to each individual job description. If you have a LinkedIn profile, update it with your new skills and experiences. For resume help, examples, and tips, check out this guide to turning your study abroad experience into a career you love! Studying abroad is a unique experience that will provide you with a world-class education in global relations while also expanding your international network. Before you leave your host country, visit the career center or speak with a faculty advisor to learn about any professional clubs or organizations which may be able to assist you in your job search. Connect with other alumni who can share their experiences and tips for acquiring a job in your desired field. Be sure to use LinkedIn to connect with campus alumni groups and any friends you met or professors you got to know while abroad. Since LinkedIn is a networking site used by employers and professionals all over the world, it can be an invaluable resource for connecting with and researching individuals, companies, and organizations. Make an effort to stay in touch with any contacts you made while abroad. Send emails every now and then to check in, share your career plans, and see if they know of any relevant opportunities. Search job sites like Indeed and Simply Hired for employment opportunities in line with your career goals. Visit the websites of any companies you may be interested in working for and see if they have open jobs listed. Keep a master list of any companies you’ve applied to, the dates you applied, and the dates you will call or email to check on your resume. Prepare thoroughly for each and every interview and gather specific examples of cross-cultural study abroad experiences which serve to highlight your newfound skills and experience. Make sure you give specific examples of how these skills and experiences apply to the job description at hand and provide details explaining how they’ll benefit your potential company and employer. Attending graduate school abroad will not only serve to supplement your professional network and career goals, but will afford you a valuable, life-changing cultural experience unmatched by any other. Whether you’re still weighing your options or you’re fully committed to the idea of attending graduate school abroad, we hope this guide has helped you to embrace the next step on your educational journey!